Repair that tear before it gets bigger. The Tear Aid Vinyl Mat Repair Kit will repair tears in any vinyl coated product. 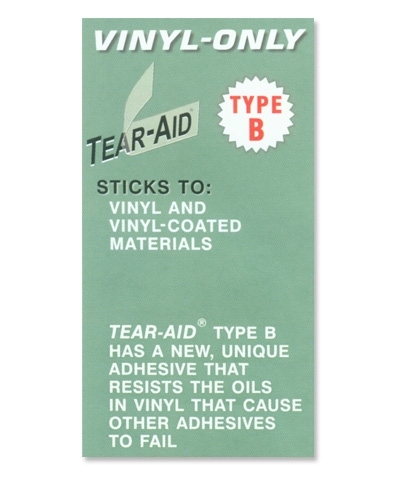 Tear Aid has a new unique adhesive that resist the oils in vinyl that cause other adhesive to fail. 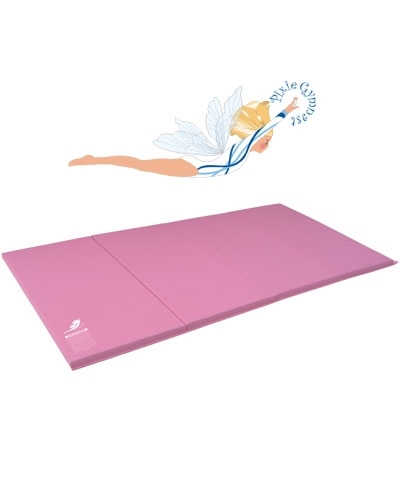 This is a general purpose mat for motor skill development, tumbling and spotting type activities. Under no circumstances is it to be used as a landing mat. Any activity involving motion or height creates the possibility of catastrophic injury, paralysis or even death from landing or falling on the neck, head or other parts of the body. This mat cannot and DOES NOT eliminate this hazard entirely. YOU STILL ASSUME THE RISK OF SERIOUS INJURY IN THE USE OF THIS MAT. HOWEVER, THIS RISK CAN BE SIGNIFICANTLY REDUCED BY ALWAYS FOLLOWING THESE SIMPLE RULES.